We would love to partner with those of you who work as influential people on social media channels. We are always looking for new influencers to show ARTEnet products to their followers. Collaborate with us to create new and surprising content that helps increase commitment for both and that cares about what we do, our social approach to business and values. Minimum 2K followers / subscribers. Be willing to post us in your feed. Tell your followers about us. We can offer you collaboration with us through our affiliate program, which gives you the 10% of each sale referred by you in the last Day 30. When accepted, you will get your code personalized coupon for a discount of 50% in any product and a discount of 15% in the coupon code for your audience. You can join our affiliate program here: ARTEnet Affiliate Program . Receive an email notification each time someone places an order through your link. You can log in to your affiliate control panel to see all your orders and earnings. Receive the monthly payment through PayPal. The minimum payment threshold is $ 50. Would you like to publish guest posts related to art on our website? We look forward to hearing your proposals for content ideas! Do you think your designs would adapt to our store? We welcome those of you who are as passionate with creation as we are to share your designs and creativity with us for possible partnerships and collaborations. You are on the correct website. We want to partner with talented artists and graphic designers to promote and sell their work through the ARTEnet store. We take care of printing, shipping and everything. You just have to do what you do best and get additional income plus exposure (we'll promote it as we promote your designs) while doing what we do best. Marketing, logistics and customer service. DO YOU REPRESENT THE PRESS? Representatives of the press can contact us to obtain press releases, press images and other materials related to public relations. When using our images, we ask you to send us. A cookie is a file from the server information of this Web site sends to your computer / smartphone / tablet of the person accessing the page to store and retrieve information about navigation that is made from such equipment. Artenet.es uses different types of cookies (technical, analytical and social) only in order to improve user navigation on the website, without any advertising or similar object. Artenet.es through cookies does not collect any personal information. All cookies, but one used by Google Analytics statistics system are temporary and disappear at the end of the session. Third Party Cookies: Those that are sent to the user's terminal equipment from a computer or domain that is not managed by the publisher, but by another entity that is data obtained through cookies. Session Cookies: A type of cookies designed to collect and store data while the user accesses a website. Persistent Cookies: A type of cookies in which the data is still stored in the terminal and can be accessed and treated for a defined by the head of the cookie, and can range from a few minutes to several years period. Cookies analysis: These are well treated by us or by third parties, allow us to quantify the number of users and thus the measurement and statistical analysis of the use made by users of the service offered. To analyze this browsing on our website in order to improve the supply of products or services we offer. advertising cookies: Those that allow the management, in the most effective manner possible, of advertising spaces, if the publisher has included a website, application or platform from providing the service olicitado based on criteria such as edited content or the frequency in which ads are displayed. Behavioral advertising cookies: Those that allow the management, in the most effective manner possible, of advertising spaces, if the publisher has included a website, application or platform from providing the requested service. These cookies store information on user behavior obtained through the continuous observation of your browsing habits, allowing to develop a specific profile to display ads based on the same. It is also possible to visit a website or open an email where some ad or promotional material regarding our products or services installed in your browser a cookie that serves to show further search related advertising that you made is published, develop control our announcements regarding, for example, the number of times you are seen, where they appear, what time are, etc. There are third party tools available online, allowing users to detect cookies on every Web site you visit and manage its deactivation. Artenet is a website that lets you buy directly from the artist, without going through intermediaries. 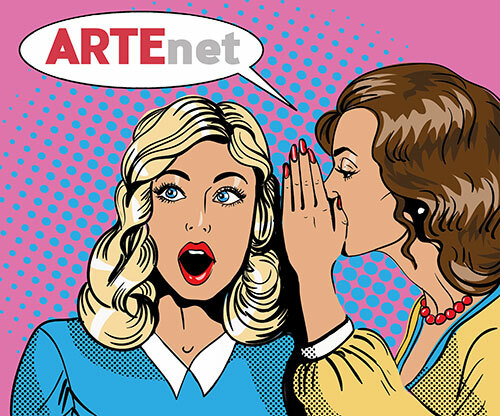 If you are interested in any work of art published in Artenet, should contact directly with the seller of the work published in Artenet to do so, should be on the page of the site where you can contact the seller via the form contact. You can clarify your doubts or learn more about the methods of delivery and payment for the purchase. unique works: All artworks available for sale in Artenet are original works signed by their authors. Direct sale: Artenet intermediaries reduce all costs in order to promote their exchanges. Artenet puts the buyer and seller in direct relation to the best possible price and safety.